Natural purple miniature rose petals and certified 24 karat gold are combined to create these stylish earrings. 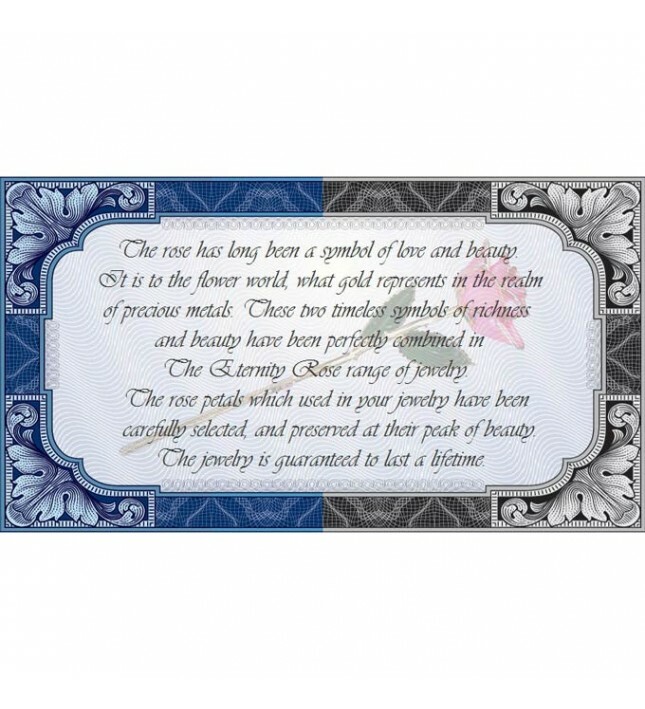 Each is encrusted with 16 beautiful synthetic diamonds. 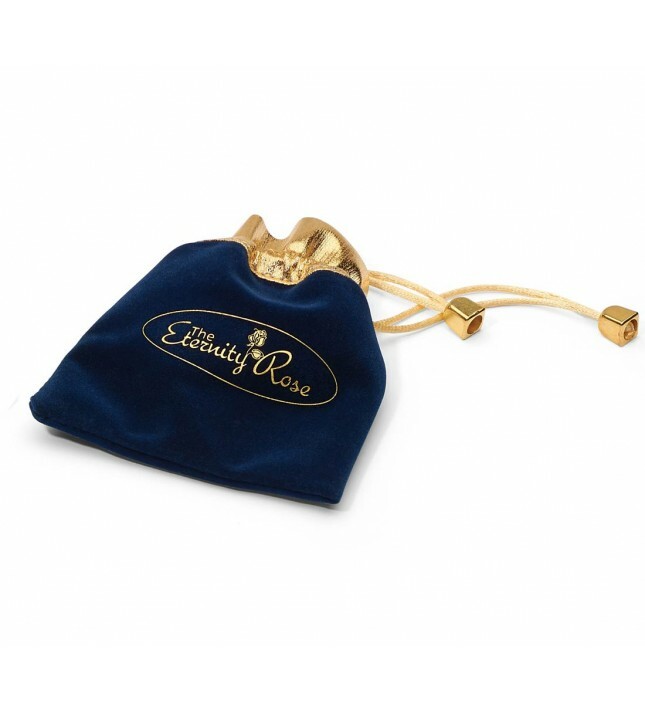 The earrings are presented in an attractive gold-trimmed velvet pouch, with gold silk draw-strings. 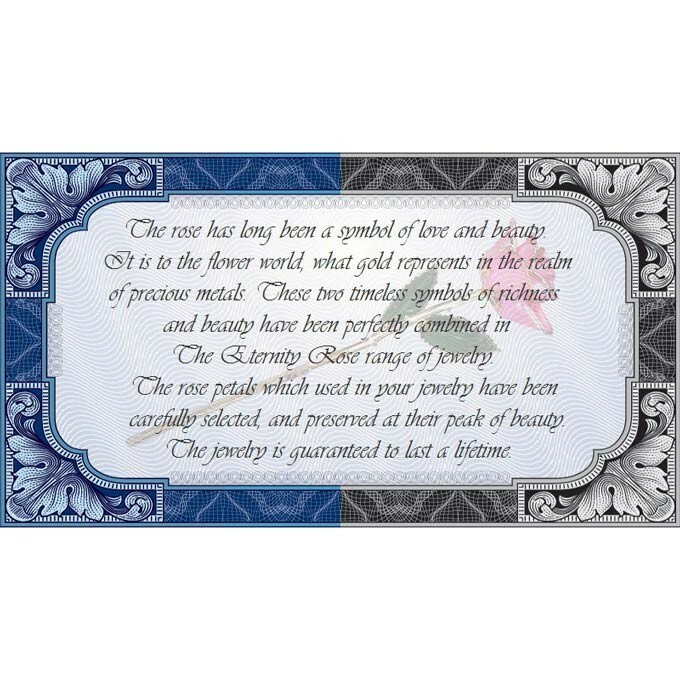 A certificate of authenticity is enclosed in the pouch. 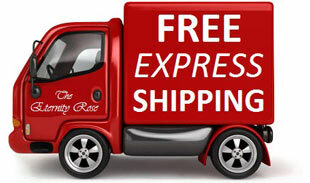 Free express delivery is offered with the purchase. 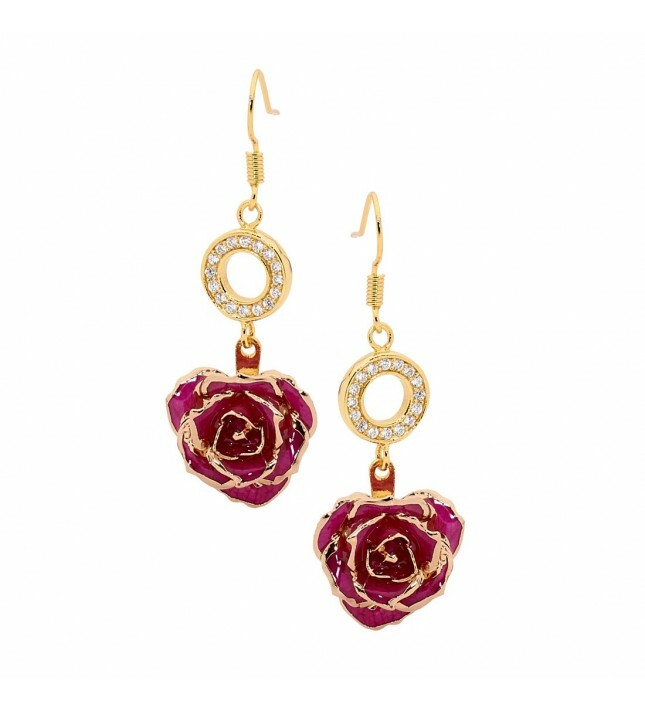 These elegant drop earrings have been expertly crafted from purple natural miniature rose petals, combined with certified 24 karat gold. 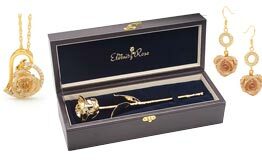 With a drop of 1 5/8" and featuring a 5/8" miniature rose head and gold ring that is decorated with no less than 16 sparkling synthetic diamonds, these unique earrings are created by hand to the highest possible standards. 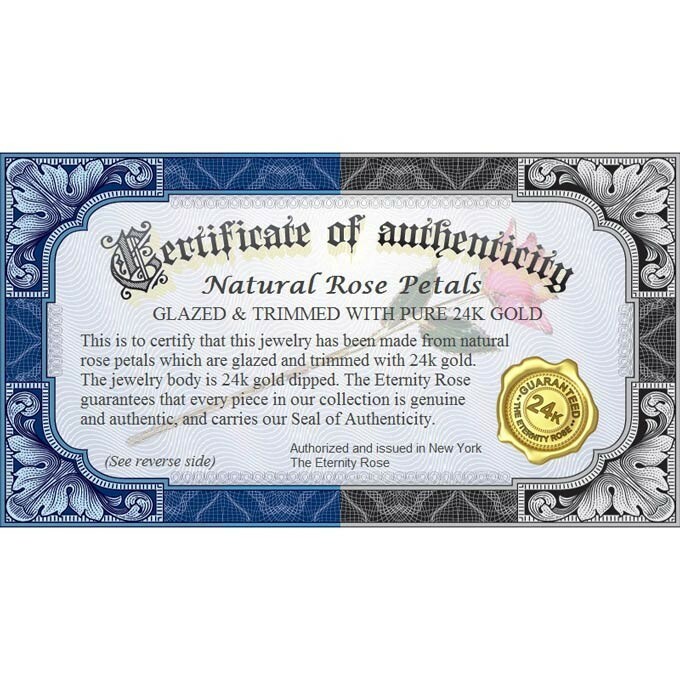 With their generous coating of pure 24 karat gold, you can be assured of the quality and excellent workmanship of this jewelry, thanks to the supplied lifetime guarantee. 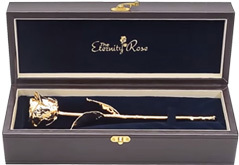 Crafted by the most skilled artists to ensure that each miniature rose petal is glazed and gold-trimmed to perfection, these earrings, part of The Eternity Rose collection, have won several awards for their design and quality. Subjected to comprehensive quality control testing, each pair of these exclusive earrings is perfect and produced to some of the highest standards in Europe. 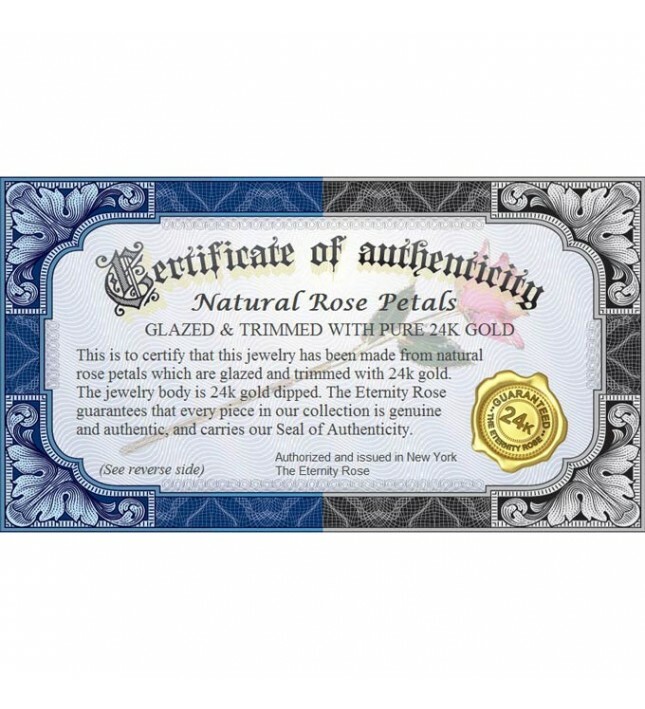 There can be no more thoughtful gift for anyone who appreciates the natural beauty of a rose and the tasteful elegance of fine jewelry. 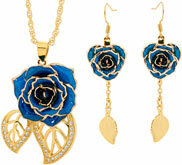 Anniversaries, birthdays, Valentine's Day, she will love them anytime. 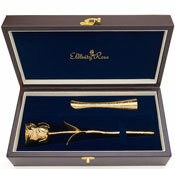 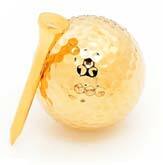 See our section on Gift Occasions in the home page footer for more information.